In celebration of the community of educationalists, teachers, artists, inspectors, politicians, prison workers, adult education workers, doctors, professors and children who created, looked for, shared and promoted schools based on 'liberating the child'. They met in July 1914 at East Runton as the Montessori Conference, and then onwards met every year as New Ideals in Education. At every conference they stated their values, written by Percy Nunn, first director of the Institute of Education, and a brief history of the community. These were also stated at the beginning of the comprehensive conference reports, with full lists of all the delegates. Their presenters created or worked in schools that practiced 'liberating the child'. They searched for such practice, and from the third conference added, 'Experiment Days', to share the results. They published these working case studies as pamphlets sent free to all schools and teachers. They influenced practice at the chalk face, they influenced the new education laws, and they influenced the training of teachers. Prof Michael Fielding explains to George Green's students how Alexander Bloom, part of the New Ideals movement, ran St Georges in the East Secondary School (1945-55), Stepney, as a democratic and co-operative community. This website and the linked events and publications aim to honour this history and build on their much forgotten and marginalised work. When everything they saw as the threat to children's health and freedom is now dominating the education debate and world - inspections, exams and measuring, national curriculum and parent power of teenagers - we need their voices and their practice more than ever. New Ideals and the 1918 Education Act. Let’s celebrate their dream of what our schools could be like if we liberate the child. Download our flyer on New Ideals and the 1918 Education Act here. The history of this community really starts at several places. The case studies that New Ideals publishes in 1917 actually are innovative approaches to running schools started several years before. For example John Arrowsmith, headteacher at Mixenden Elementary School, talks about starting in 1911 a project in which everything at his school could be learnt through all the senses, especially touch [See "Physiological Education in an Elementary School" by John Arrowsmith in Making Good Primary Schools in 1917.]. 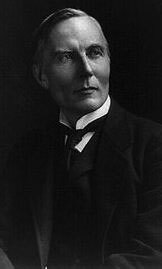 And Edmond Holmes, the Chief Inspector of Elementary Schools, wrote about Harriet Finley Johnson’s work as headteacher at Sompting, first using nature as a theme for learning and then moving on to using drama as a process for exploration and learning, at the end of the 1800s. As Norman McMunn writes, he felt a sailor ‘lost at sea’, until ‘finding land’, that is this conference of practitioners in 1914 at the Montessori Conference in East Runton. The enthusiasm of this conference, the need to organise a yearly one, and to found it on the value of ‘liberating the child in the school’ are all evidence of Montessori being a focal point for organisation, but not for her method, more for her starting point of observing and letting the child freely learn. The image is of schools and experimental communities dotted over Britain in which teachers were successfully experimenting with ways of teaching and running schools. A.S.Neill in 1915 writes, in his autobiographical diary of his first year as headteacher of Gretna Green School, how there is no set book, no one to follow, in terms of education ideas. This is ridiculed in some reviews that remind us of the antecedents to Neill, but he does express what the conference members were seeking in 1914, a community to join and share and promote practice that focuses on the rights and dignity of the child. I personally think that Neill’s book allows us to see how individual teachers were responding to agricultural poverty, and to the struggle with the concept of what a school is for. Holmes had promoted Johnson’s work through his book. Local authorities were influenced by people like Margaret McMillan, in terms of the health, welfare and happiness of the child. The atmosphere of promoting the rights of women and the working class fired enthusiasm and ideas for our schools. Holmes was commissioned to visit Montessori and to write a report on her work for the British government. Bertram Hawker has supported Lillian de Lissa and the nursery school movement in Australia, he went on to create the first Montessori school in England, which hosted the first conference. He went around the country promoting Montessori’s work at large meetings, but after the 1914 conference he became a chief organiser of the New Ideals in Education Conferences. From another angle we have Earl Lytton, who was working with Homer Lane, and the Little Commonwealth, a residential farm for teenage delinquents, run as a democratic community from 1912. Here was the foundation of what would become a very influential community. These practitioners were brought together by inspectors, by the people who knew the schools, and became focused on redefining what our school system should become. H.A.L. Fisher addressed the conference as its key opening speaker in 1917, having launched his Continuation Education Act the Friday before. Earl Lytton was to push the act through the House of Lords. The ‘vision’ of the act was a progressive one, Lytton, writes in 1921 that he saw the school becoming the cultural, historical centre of the village or town, with the children as curators. A far cry from the present system of exam factories based on effective learning methods and assessments. From the beginning they expressed themselves as a community, defining a shared foundation value of ‘liberating the child’, referencing the birth and development of the community at every meeting, writing and protecting the history of the community in the 1920s and 30s - even writing a history of its committee. In the end it appears, despite all this, Beatrice Ensor’s New (International) Education Fellowship, and her take on the history, dominated the way the story was told. It now began in 1921 in Calais with their first international conference, and in the launch of New Era magazine, shortly before. Beatrice Ensor had been a part of the New Ideals conferences from the beginning, her contribution to the committee is not mentioned, and she appears to have used the meetings as a structure to create her own group of theosophist educators. Her disputed ‘history’ sadly appears to have overwritten the importance of New Ideals and how it influenced the British, French and world education systems. But we can learn from this community, as we have to recreate a national and international community that has a clear sense of identity, purpose, history and direction. We can only celebrate these heroes and their achievements, if we learn from them and move forwards with ‘liberating the child’. It was in response to the first meeting, that they decided to create a supportive community by organising future ones, and to create a statement of values around which they were to meet, to define their purpose, changing it from a Montessori Conference. This process shows how the community defined and reflected upon what it was, especially during the war years. Then at the third conference they decided to re-structure them, creating an annual general theme, and ‘experimental days’. At the beginning the published voice of the community included the audience in reports of the discussion and questions and answers after the main talks. Every report has a community list, a full delegate list, with names, jobs and locations. Of the 250 members of the newly created Montessori Society over 50 attended the 1914 conference, and major figures in the movement continued to attend despite the change in title and aim. Bertram Hawker, one of the co-founders of the conference, and its host, at his home and the first Montessori School, had been one of the key speakers promoting Montessori around the country before 1914. And Edmond Holmes had written the report on Montessori for the Department of Education. Montessori continued to be an important topic in most of the conferences, with voices for and against. She had telegrammed the first conference in support. Three aspects of this community should be researched: the delegate list, their jobs, locations and links to other educational associations; the organising committee and their roles in defining schooling in Britain; the speakers, experiment presenters, and the content of their talks. An important sub-group includes the Inspectors, who attend as delegates, but also as presenters. Holmes in talking about the need to find and share experiments expresses the importance of Inspectors in finding innovation, and his role as Chief Inspector of Elementary Schools. Other groups include national politicians like H.A.L. Fisher, American Ambassador Page, and Earl Lytton, and local politicians on school boards and councils; Nursery education group including Margaret McMillan, Lillian de Lissa; therapeutic workers like Homer Lane and Dr Arthur Brock. Businessmen like William Mather, Lord Selfridges. The role of women is recognised in the reports, with them helping in organising the venues, and in publishing the reports, experiments and magazines. It is recognised that the Elementary Schools are the source of innovation, and that secondary schools are problematic. This is seen as due to exams, inspection by results, and pressure from parents of older children for qualifications for university or jobs. This splits the teachers and headteachers into three groups, the state elementary schools, state secondary schools, and private schools. The state secondary schools is the smallest group, with teachers experimenting with classroom techniques, but very few experimental schools. It is important to start researching the delegate’s lists, committee and presenters. The lists can be starting points into this community. They will be posted here, along with details as people are researched. In the resources there is a growing set of posters, each dedicated to a member of the community. New Ideals in Education Conference 1917 Bedford College delegate list. Google map of the 1917 delegates. An American paid to come to England to run a residential farm for delinquent teenagers who would otherwise go to prison called ‘The Little Commonwealth’. He came from working with the George Junior Republics for American youth. He ran the Little Commonwealth as a democratic community, learning to live together through making decisions together. He was famous for being on the side of the child. He became a friend of A.S.Neill, and the Commonwealth community meetings inspired democratic meetings at Neill’s Summerhill School. He spoke several times at the New Ideals Conferences, being introduced by the American Ambassador and treated as a hero of the movement. He was on the New Ideals committee. “A boy of fourteen, said Mr. Homer Lane at Stratford-on-Avon, now a citizen of the Little Commonwealth, had been birched fourteen times by order of the magistrates, but the birchings only made him worse. The very strength of his character led him to persevere in his career of lawlessness. When, however, he was admitted to the Little Commonwealth he found that his acts of rebellion won no applause, and he gradually sought an outlet for his energies and abilities in work and acts of service which had eventually made him one of the leaders of the community. It was the spice of danger and the desire to be regarded as a hero that were the motives for most juvenile wrongdoing. If these motives were removed wrongdoing ceased to be attractive. 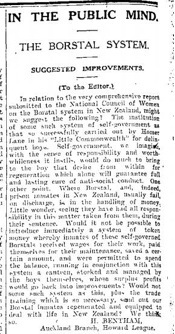 The citizens of the Little Commonwealth had been chosen from among the worst young criminals who could be discovered, but when they found themselves members of a self-governing community in which no rules were enforced except by the citizens themselves they developed a sense of responsibility and a power of initiative which changed their whole attitude towards society.” 1st Sept 1915 The Education Times and Journal of the College of Preceptors. Miss J. Noakes is listed in the delegate list to New Ideals Conference in 1917 with only her name and home address of Brooke Green, with no occupation. Clara Grant is a famous teacher in Tower Hamlets, she was headteacher at Devon's Road Infant School from 1900, which was later named after her; created the Fern Street Settlement from her home in 1907 promoting health, play and community support including adults learning a trade, making dresses sold via the Settlement, a similar pattern shown by the Lester sisters in setting-up Kingsley Hall; campaigned for health work in schools having one of the first nurses to work in a school, and giving her students a hot breakfast. The New Ideals in Education community started in 1914 as the first national conference of the Montessori Society held at East Runton, Norfolk, just along the coast from Cromer. Dr Maria Montessori sent them a supporting telegram, “I associate myself cordially with the Conference in favour of the liberation of the child. Grateful for the recognition of my work.” read out by the Chairman of the opening presentation, Mr B.V.Melville. 50 of the delegates were members of the Society, their names, as for later years, printed in italics in the participant list published in each conference report. There were three key male figures behind New Ideals in Education, who helped create the first conference and supported the organisation and later conferences. As already mentioned, in the last blog, there was Rev Bertram Hawker, who went on to work with Save the Children, the international student union movement and helped Kurt Hahn to establish (1934) Gordonstoun School. Edmond Holmes and Earl Lytton were the other two. The New Ideals in Education community was founded at the Montessori Conference in July 1914, before the outbreak of war. It was inspired by the huge interest in Montessori through national tours of lectures and reports from 1912 onwards, and the inspirational works of Lillian de Lissa in Kindergartens, Harriet Finlay Johnson’s work on nature and drama at her school in Sompting, Homer Lane’s work at the newly founded Little Commonwealth, and Norman MacMunn’s work on democratic teaching in the classroom. On the way back from the Conference, on the train, Earl Lytton, President of the Conferences, reports that he met a Minister and they talked about the likelihood and the dire consequences if we were to go to war. This is important as the development of a schooling system ‘to liberate the child’, with its emphasis on growth and freedom for the child, maybe seen, by some, as a response to the horrors of war, though it did most certainly heighten the issues at stake. It was more in response to poverty and industrialisation, and the movements to large cities, with the threat of rural depopulation, and the question of identity and community, as people moved away from their birth places, families and churches, and crafts became replaced by industrial production. From 1870 England had a national education system for children up to eleven and twelve years old, overseen locally by elected school boards, including women as members. Some thirty years, before the beginning of the new century, for experimentation into how national schools should be run. Several of the many examples of such teachers to experiment with methods of teaching and dynamics of the classroom are Harriet Finlay Johnson, Clara Grant, John Arrowsmith, Norman MacMunn, A.S.Neill, Muriel and Doris Lester. The conference of 1914 brought many of them together, people who had had years of innovation and practice but who felt sometimes alone, bringing them together with newer examples, and those looking for inspiration. The start of war brought a discussion on the importance and relevance of the conferences, which indeed got bigger each year, 1914 there were 250 delegates, 350 in 1915 and some 400 in 1916. Whilst our young men were being killed at the front, was it important to present, share, discuss and promote new schooling methods? “This, as some of you will remember, was on the eve of the War. Under the shadow of that impending catastrophe a movement was initiated which, if successful, would go far towards making such catastrophes impossible, seeing that its object was to work for a constructive freedom, in which the latent energy and capacity for doing good inherent in every child, would have an opportunity to unfold , and in which the spirit of comradeship would therefore thrive apace.” Bertram Hawker. There were several threads of input that focused on the war, apart from mentions of how it affected projects like the cooking lessons that were inspired by previous Conference presentations, and needed to take into account the need not to waste food because of submarine’s torpedoing our merchant ships. Luckily all the ingredients were successfully used, and the products were either eaten by the girl’s families at home or sold to the boy’s school. There was the comparison between the German education system and the English and how they related in terms of going to war, exploring the values of nationalism, obedience, identity and the concept of democracy. There was the link between the psychological problems and therapy of soldiers for shell shock and the dehumanisation of the child through industrialisation and poverty, as expressed by Wilfred Owen’s doctor, Dr Arthur Brock, speaking at a New Ideals Conference, 1919. “These are people who know how to “make a living and are yet quite ignorant of how to live. Such people, as soon as they get outside the beaten track of their own particular professional reaction, and emerge into the broader battlefield of life, drift like rudderless ships, and often founder." There was also the training of soldiers, fit to fight for democratic values, as part of experimenting with teaching methods. Finally there was to be the legacy of the conflict, to create a world fit for soldiers to return to. The issue of women’s rights had been part of the social make up of schools, most elementary and nursery teachers being women, who were also to be found active in the Suffrage movement. The lack of men as workers due to conscription, reinforced the dominant role of women in schooling, but also in inspection and local government. The venues of the conferences were supported by women academics, like the Bedford College for Women in 1917, and the reports were published by the Women’s Print Society, London. Bertram Hawker, replacing Earl Lytton, who was busy with the Transport Bill, opened the 1919 conference and thanked the women, many of whom were or had been struggling for the right to vote, and for equality. The use of history education to engage children in the understanding of the causes of war was explored through the development of methods of learning through research and critical questioning. How to judge evidence. Exploring how historians create their concepts of history. Finally there was the question of the relationship between teaching and the prevention of war. "It is surely significant that notwithstanding we are engaged in the most terrible conflict which has ever ravaged Humanity, there should yet be found time for us to meet together to discuss, not war and its accomplishments, but Education, the offering of Peace; and to give expression to those new ideals which animate us. "It is not an exaggeration to say that the outbreak of war came as a shock – that many of us sustained a mental upheaval, which overthrew the ideals and ideas of a life time. Those who laboured, it matters not how humbly, for the uplifting of their fellows, were filled with despondency; and I do not hesitate to say that some of us asked in weariness of spirit, “to what end have we toiled?” The Montessori Principle in the Elementary School by Mrs Hutchinson, from Catherine Street LCC School, 1915. (The research this summary originates from can be read in the articles section of this website). This whole project, for me, started from my working at Summerhill School and setting-up and supporting the first school’s committee for External Affairs. I started it as the school’s campaign committee fighting the government’s attempt to close the school down in 1999 after years of Ofsted harassment. After the school won its court case in the Royal Courts of Justice, as portrayed in the Children’s BBC drama, ‘Summerhill’, the committee continued to be elected to do presentations, run workshops, lobby the government for rights for all school children, and take part in various children’s NGOs. When talking about Summerhill, or researching its history, and later working with East London state schools on active global citizenship and children’s rights projects, discovering people like Janus Korczak and Homer Lane… I had no answer as to why in the early 1900s did Neill create Summerhill School apart from his personal experiences as a child, teacher and friend of Lane, or why did the others create similar children’s rights based communities. Each of the examples seemed to have their own present day researchers, promoters and had the common portrayal of innovation and success due to a charismatic and idealist founder. The paper for UNESCO’s International Bureau of Education, on A.S.Neill (1994) by Prof Jean-Francois Saffange, is a superb example of the projection of the image of the romantic educationalist creating a ground breaking innovation that only succeeded because of his character. Despite having been written in 1994, twenty one years after Neill’s death, and with no references after this point, there is the presentation as fact that Summerhill could not survive without Neill. “The death of A.S. Neill on 23 September 1973 went almost unrecorded in the newspapers, yet it marked the end of the saga of Summerhill, his little school in Suffolk, England, and set the seal on the disregard or even rejection of a man who had come to symbolize a decade of nonconformist fervour.” Alexander Sutherland Neill (1883-1973) by Prof Jean-Francois Saffange, Prospectus, Vol XXIV, no 1/2, 1994, p 217-229. http://www.ibe.unesco.org/sites/default/files/neille.PDF). This destructive and ignorant article, posing as research, and presented by UNESCO as authoritative, and ironically as part of their 100 documents celebrating the important educationalists of the age, is a slur against Neill and Summerhill. But it does reinforce the dismissal of Neill’s influence and that he was part of an influential community in England, Europe and around the world. Ironically a community that helped to create IBE and UNESCO. Why apparently only one Summerhill? Ironically the movement of Alternative Education appeared to accept the idea of intense, comparatively lonely innovators, too busy with their own projects to be part of a wider community of influence within the culture of state schooling, except for their own writings and presentations, and followers. This history, of the educationalists as romantics, seemed to predominate the school history discourse and fitted neatly with the idea of a market place of alternative schools and provision, choices for the parent or family. As a trained science teacher I am always ashamed at the simplistic and self-serving image that our schools are fossils of the type of school created due to the needs of the industrial revolution. This creates a heroic and necessary frame for all our present innovators of schooling, who can be portrayed as not having antecedents. It denies the history of the politics of schooling and the past heroes, their motives and their successes. For those who believe in apparently apolitical and amoral outcomes this is not important, what we simply need is efficient and effective schools. It portrays all those teachers, of the past, as if they were passive implementors of a state system based on the output of unquestioning, obedient students. The involvement of suffragists and suffragettes, of women struggling to define their identities and those of their daughters, was a major contributor to the New Ideals community, their organising committee being over half women, and their active members being over 70% of the community. Maria Montessori’s work brought together the power of women, their contribution to the world of professionals, alongside the methods of observation and science, with the natural learning of the child, only visible if the child is free. She worked with children who were poor and many with special needs, groups that were seen to be in need of support and justice. She also engaged with teachers, training them, writing handbooks, opening her Children’s House to observation, and promoting learning apparatus. These aspects took hold of the English community, with talks, presentations, articles, reports and new schools, with great enthusiasm and influence from 1912 to 1914. Behind this were the organisers and members of New Ideals, that had been created through the first Montessori Conference organised by England’s Montessori Society. The community would never lose sight of this inspiration, and when we discuss the modern primary school as one based on learning through play, doing, creating, self-expression, co-operation, self-directed research, then we should always remember this is the legacy of her influence. Like so many other historic figures of our schooling system we must not imprison her in a named method and a patented school system and learning toys. An example of this influence is Clara Grant, the east end teacher, headteacher and settlement organiser. She wrote books on her methods, for other teachers, on how children can make toys as part of their learning and play, and of how active hand based activities can be created by the teacher and children to be used for learning literacy, numeracy, geography… She references Montessori throughout her book, though she is critical of the cost of Montessori materials, she believes in developing her methods of learning through doing further, and to empower the teacher through materials that can be made by them. She, like the rest of the New Ideals community, want every teacher to be able to develop their own methods and processes for teaching the child. Methods that are based on the fundamental ideology of ‘liberating the child’. The inspirations can be seen to come from several assumptions about the development of human beings, William Godwin’s and later Robert Owen’s, that we learn to be citizens, either free because we are liberated, or imprisoned because we are trained in authority structures that reflect the authoritarian state and its class, racist and sexist systems; like Homer Lane, that we recapitulate the evolution of our species within the development of the individual from the fertilised egg, scientifically Ontogeny recapitulates Phylogeny, when the child is at the chimp stage they should be outside climbing trees, building tree huts, and when they are at the stone age, making bows and arrows, and reading about Tarzan and Stig – the issues with this are is it all predetermined? How does free will fit? And in terms of society and politics, when does the individual stop developing? Dr Down saw young people with Down’s syndrome as stopping their development at the stage of the race then called ‘Mongol’. Woman were seen as stopping their development at the stage of the black person, or chimp, or child; Apart from science and the politics of human rights, there was also the influence of religious ideas that come from the spiritual influence of the East and India, their focus on the individual’s relationship with the world and universe, and the need for spiritual development and freedom, researched, explored and written about by Edmond Holmes, lead to theosophists, like Beatrice Ensor, and anthroposophists, like Steiner, looking for methods of schooling that liberate the soul; finally there is the influence of therapy and psychology, like Reich, Lane, Piaget, though these subjects, like the methods of teaching and learning were still very young. New enough for A.S.Neill, among others, to say that no adult knows enough to be able to mould the mind of a child, and therefore the child should be free to create their own minds. The role of traditional Christianity, as in the Church of England or the Catholic Church, is problematic, as the role of the family, the authority of the father figure, the need of obedience and to come to terms with inherited sin, to control it through the discipline of the father, the church, the school, all acted against the ‘liberation of the child’. As did the church reinforcing the power structures of the day, and children growing up to know and respect their position. Those who were members of the New Ideals community, if Christian, held to the views of dissenters, the non-orthodox, or the liberal wing of the Church, that love, as expressed by Christ, overcame the Bible’s injunctions to hit the disobedient child, or to expect the child to obey the father. Inherited sin condemns the human to the needs for restraints, for the use of imposed authority to try to control that sin. This is paralleled by the reduction of human ‘sins’ to that of instincts and the need to suppress them. Both may lead to schools of authority, of authority in terms of knowledge and skills, and authority in terms of the control of the children’s behaviour and values. The issue of determinism, which is reflected in the concept of instincts, is problematic and has been confused in its use by thinkers on schooling and education. To show this confusion, which has lead to common misunderstandings of their authors, we can look at Robert Owen, the 18-19th century cotton industrialist. He saw current society in terms of environmental determinism, that criminals were conforming to the dehumanisation and degradation of their environments, and needed to be treated with therapy and not punishment. That religious people were simply conforming to the views around them. He wanted a society and culture based on co-operation, but not through conformity. If he simply accepted determinism as the basis of our behaviour then he would apply the methods of conformity to his view of making a better society. When applying methods in the society he lived, he would use such methods, in his factory and village, New Lanark. But he saw human’s in the same light as Mary Wolstonecraft and her husband William Godwin, that they could develop independent, critical, free thinking minds. At his time the mention of Wolstonecraft would make people shudder with an image of a damned woman, due to the posthumous biography written by Godwin, that portrayed her adultery, having a child outside marriage, attempting to commit suicide for love, falling in love with a married man. Even the early feminists avoided referencing her, but Owen was known for mentioning her whenever he could. Owen’s school was based on the idea of liberating the human mind, so they could escape, through critical, rational thinking the imprisonment of conformity, so the child could make decisions about their beliefs, their identity, their culture. He believed they would choose co-operation, participative democracy, and create a society of equality. This would be a society free of environmental determinism because of this liberation of the human mind. Articles about the history of the community Neill was a part of. New Ideals in Education promotes children running their own projects, controlling their own learning, and running their own businesses. In France this was very successful. The children ran co-operatives, some of the earliest were linked to printing. Dr Arthur Brock spoke at the New Ideals Conference on the use of creative work as therapy for shell shocked soldiers, his patients included Wilfred Owen, and how we needed to create healthy children by their schools getting them to express their creativity through work embedded within local culture, art and craft. The French school inspector, Cousinet, made presentations on co-operatives in French schools to the French New Ideals Conference, as well as the British. 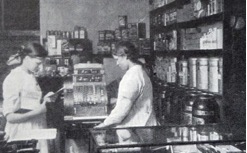 Children running the shop in Homer Lane’s Little Commonwealth 1915. The shop was built by Lord Selfridge, who also had the coins minted. 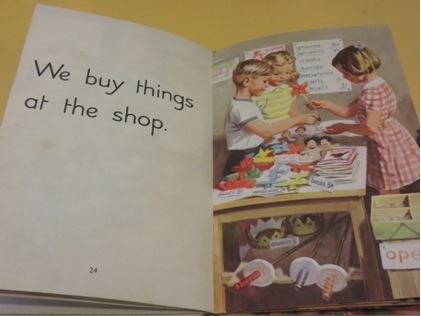 The children earned the money working in the community, on the farm, or building etc, they could spent it at the children run shop or if saved convert it to cash when the children left the farm. Article in Auckland Star 2 May 1936 promoting Homer Lane’s work and young people running their own shops. 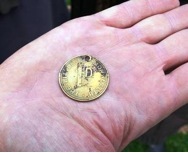 Coin minted for Little Commonwealth by Mr Selfridge. 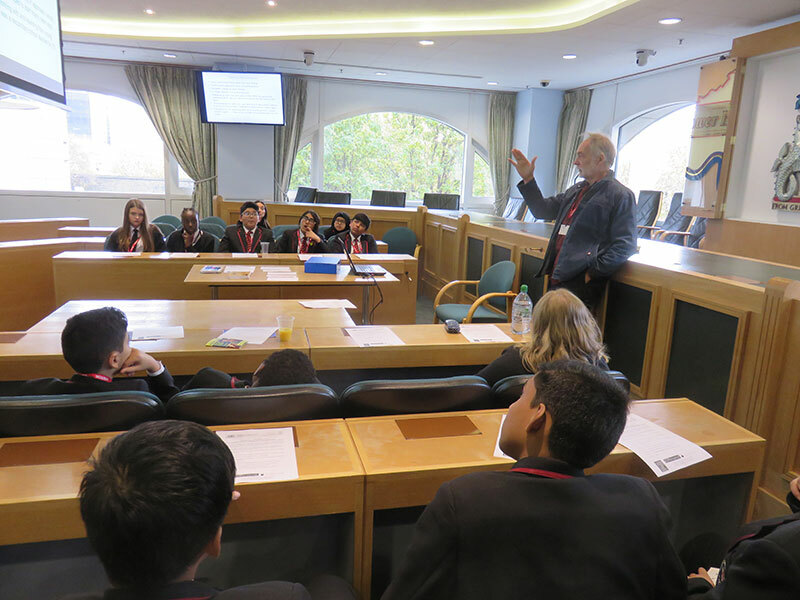 To launch Fairtrade Fortnight in Tower Hamlets, George Green’s School students are running a miniconference of workshops for primary school children on how to create and run co-operatives to change their communities. They will also be learning of the importance of co-ops in Fairtrade, role-playing Ugandan farmers, an activity created in partnership with the Uganda Co-op Alliance and featured in the Fairtrade Foundation Schools DVD. The United Nations sees Co-ops as helping to improve the lives of half the people on the planet, especially women and young people. The UN sees them also as ‘schools of democracy’. Download the flyer for the event click here.